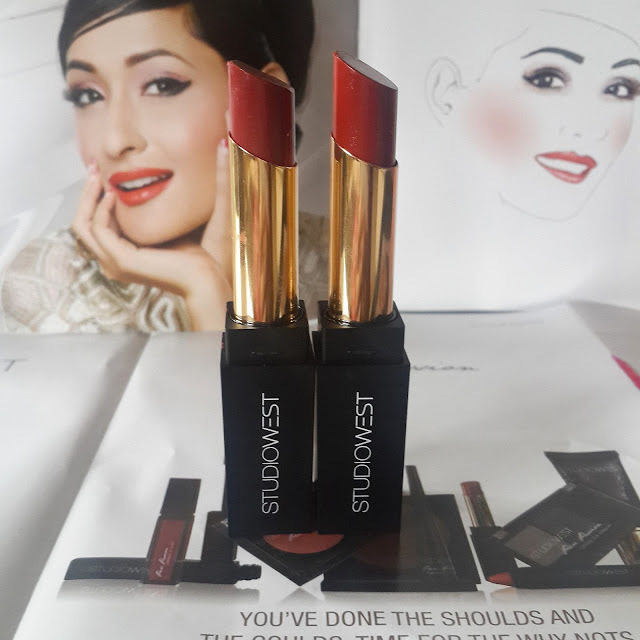 Recently I came to know that westside had launched new makeup line which is Studiowest. And nothing could make me more happier than new makeup products. So finally last week I visited westside to explore this range. They had almost every products from foundation blush to lipsticks nail paints and gloss all in beautifully black packaging. They are very reasonably priced and easily available at all westside stores. This entire range is divided into two range Pure Passion and Maya. Maya has all festive products like glitter nail paints lipsticks and eyeshades which can be used on occasions. 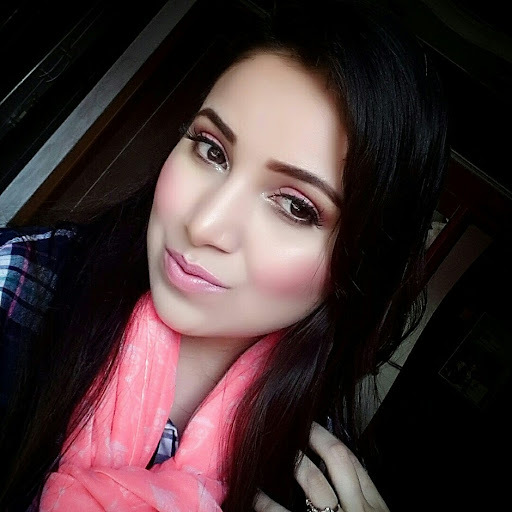 While Pure Passion consist of everyday makeup products having all earthy tones, peaches and nudes which you use on daily basis. 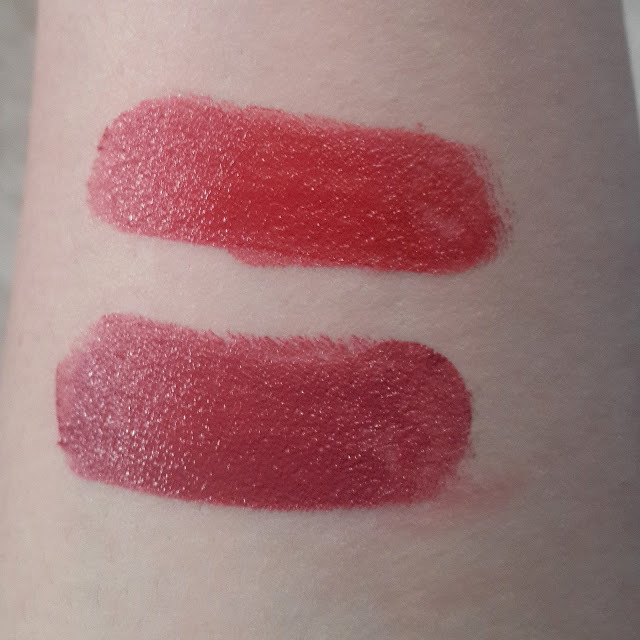 I picked up two lipsticks from Pure Passion range which are Coral Reef and Blushing Mauve as this was my first purchase from studiowest I was pretty excited to try this lipsticks. I was pretty impressed with the packaging. This lipsticks come in square sleek matte finish black tube. It does give a cheap feel. They are super creamy and moisturizing. They glide on smoothly almost like butter on lips. On application they don’t make your lips feel dry. It has very light texture having creamy sheen finish. They are super rich pigmented. One swipe gives you enough opacity. It doesn’t accentuate fine lines or creases. There is no tugging or pulling. Gives a flawless finish to lips you can even build this color but it was not required. They have beautiful peaches nudes browns in this range. This colors can go on all indian skin tone. This lipsticks do not contain fragrance. It doesn’t smudge or bleed. Color pay off is excellent. 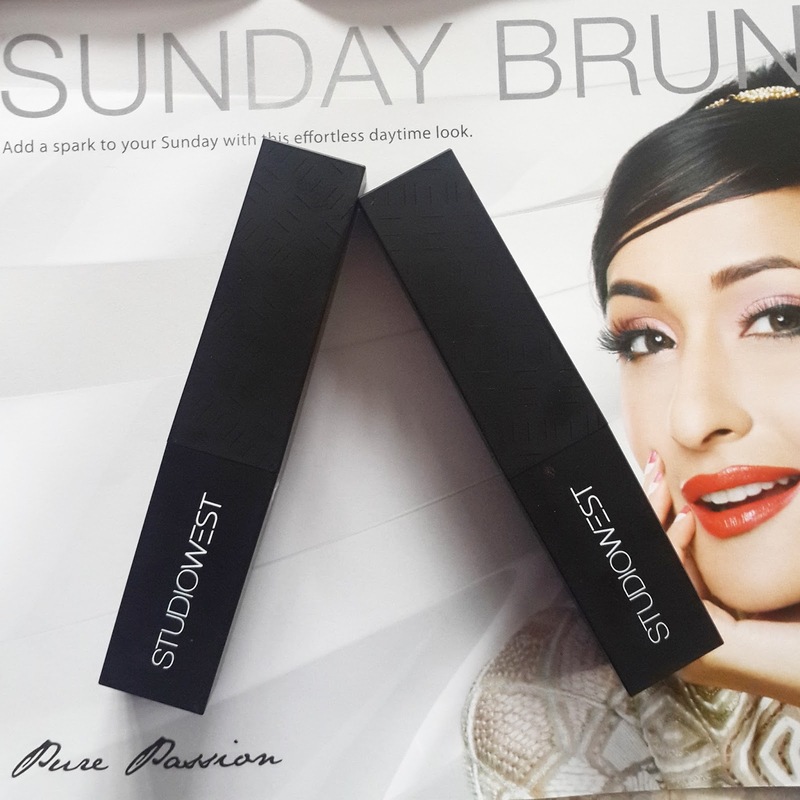 This lipsticks stay on for 6-7 hrs with meals they fade leaving behind stain. I loved the way it moisturizes my lips. Coral Fantasy its a beautiful warm rusty brown color. I don't think i had such color in my vanity. It can go on all skin tones. If you like coral brown shades this can be your pick. its something which can go on indian outfit as well as on formals. Warm Blush is a deep pink mauvey shade perfect for autumn and one of my personal favourite. Again this color can on every skin tone. I think its a great color for working women. Overall I am impressed with this lipsticks. I think this is one of the most affordable makeup range available in market. 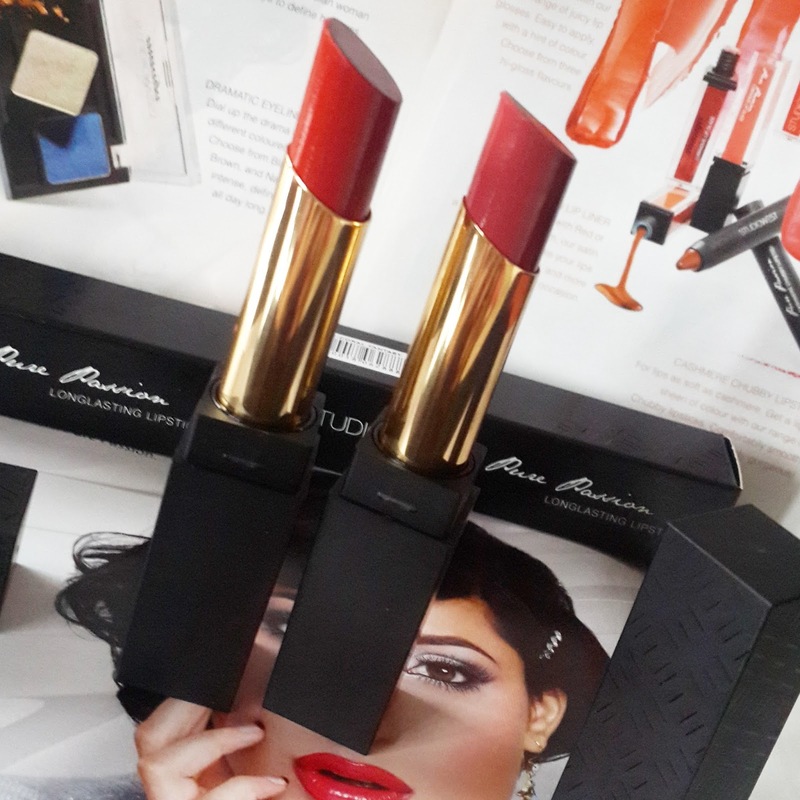 I simply loved how moisturizing and pigmented this lipsticks are. If you have pigmented lips this will give you full coverage. 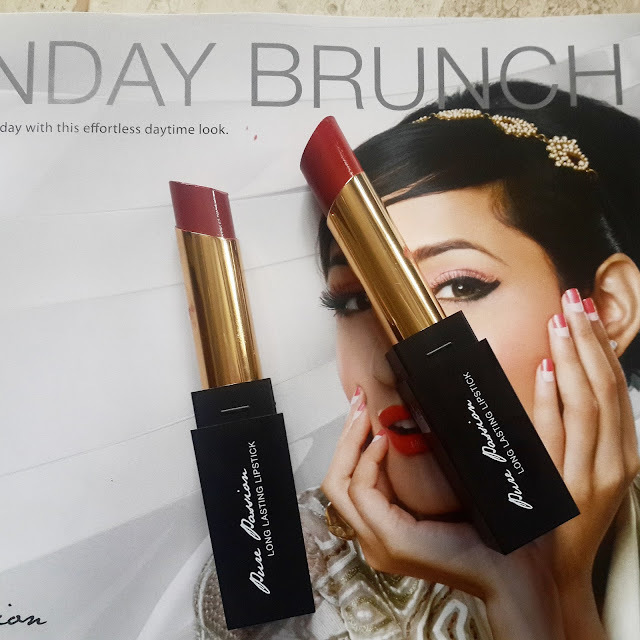 This lipsticks can be used on everyday basis. There are neutral shades available for working women to college girls. Pretty basic for everyone. Would definitely try more products from this range. Have you tried STUDIOWEST products whats your opinion? ?